Originally printed on January 26, 2019 in the Shropshire Star. Edith Of Moss Bank Way, Shrewsbury. Passed away peacefully on January 22, 2019, at Isle Court Bicton Shrewsbury, aged 82 years. Beloved Wife of Geoff. Loving Mother of Fiona and much loved Grandmother of Victoria. 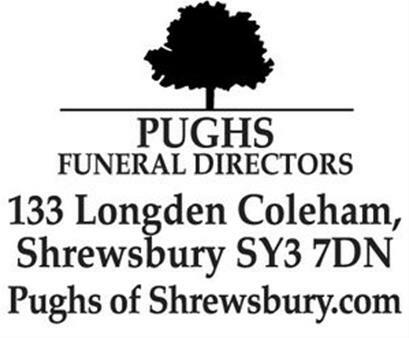 Funeral Service at Shrewsbury Crematorium, on Thursday, February 7, at 12.30pm. 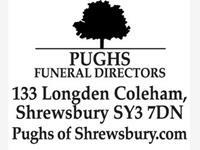 Family flowers only please but donations if desired to the League of Friends at the Royal Shrewsbury Hospital. Hello Fiona, I’m sorry I just found this notification about your mother. My good wishes are with you, I’m lucky to still have my parents and can only imagine the emotions you are going through now.